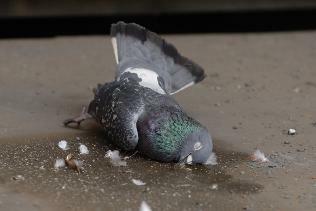 A cull of pigeons has been approved at a meeting of a West Yorkshire town council. Bird droppings have caused £50,000 of damage to Morley Town Hall by blocking drains which have caused flooding. People have been told not to feed the problem birds and now council officials say that they have to decide on the most effective method. The good news: The stench at a Dana Point beach is temporary. The bad news: It may come back. The December storms caused San Juan Creek to flood from San Juan Capistrano to Dana Point and caused ferocious 5.72 feet-per-second currents to rush through the creek. The creek water outfall at Doheny State Beach was then flushed into the ocean. That mixture is behind the rotten egg smell near the lifeguard headquarters. Bird poop and other organic matter that had accumulated in the creek mixed with sulfates in the ocean water, said David Pryor, an environmental scientist with the state Department of Parks and Recreation. The combination made a stinky smell—similar to that of sulfur-rich hot springs. The smell was greatest following the storms. Then debris covered up most of the bird poop-salt water cocktail, plant materials and bacteria that had soaked into the sand. But recent beach cleanups aimed at removing debris unleashed the stench again. “We do not consider the odor dangerous,” Pryor said in an e-mail. Over time, the surf and tides will sort and wash away the stinky matter, he said. 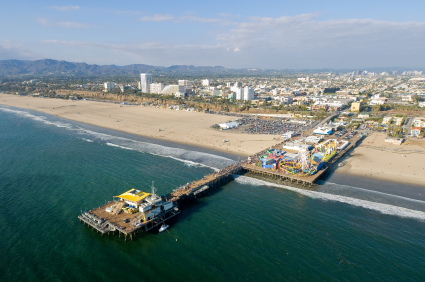 Just last year, the Lompoc Record reported that it was an accumulation of pigeon droppings that had contaminated the water quality under the Pismo Beach Pier. Sure the stench may not be harmful, what about the bacteria found in bird droppings? It would take a lot of droppings to create such a stench – if it truly is the source of the “fowl” smell, the city may want to consider the health risk associated with the droppings. In small doses it usually doesn’t cause that big of a concern, but when found in such large quantities, health risks should be considered as bird droppings are known to carry bacteria and disease.